Open:	Exhibition rooms: 10:00-17:00; perusal rooms: 09:30-17:00. A treasure trove of literature previously stored by the Owari-Tokugawas and other superlative Japanese and Chinese classics, which are made available for public viewing. The library痴 entrance hall is an amalgamation of two of the nine earthen warehouses from the Ozone, Nagoya residence of the Owari-Tokugawas completed in 1900. The structures were joined and relocated to the current location in 1935 for reuse. 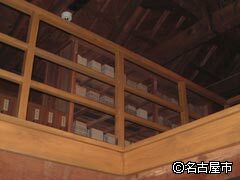 The original earthen warehouses were in the traditional Japanese-style two-storey mould, but the roof trusses use a curved-line truss style that was rare at the time. Even now, the interior and framework remains a good example of those old techniques. The library currently houses around 110,000 items of literature, which cover a huge range of genres; indeed, this rich variety has become one of the Hosa Library痴 defining features. 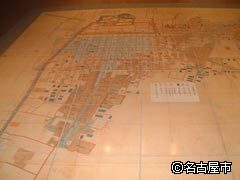 Not only does the library stock books, there are also more than 2,000 paintings handed down in the Owari-Tokugawa, including some invaluable classics showing maps of the Nagoya Castle town, world maps and other ancient maps, as well as property and garden drawings. Not only is the library packed with literature, there are also displays of the tools of the daimyo in the Tokugawa Art Museum that combine to give a clear overall picture of education and training in samurai households. 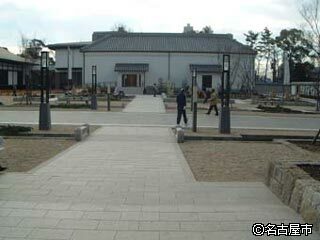 Furthermore, exhibitions provide an easy-to-understand explanation of the modern samurai culture, and there are regular lectures held in conjunction with the Tokugawa Art Museum and theTokugawaen.